If you’re looking into the possibility of saving yourself energy costs and space, looking into the purchase and installation of a tankless water heater may be the best option for you. Not only are they going to save you money in the long run, but most models also provide continuous hot water for far longer than traditional tank water heaters. You’ll also be investing in the life of the system. Most water tanks average lifespan usually lasts only 13 to 15 years at the most. If you’ve purchased your house with an older water tank in place, it’s likely you’ll need to replace it soon anyway. Tankless water heaters can live up to 20 years, and it would be a significant investment to have for long-term residents. Regardless of your reasoning, purchasing a tankless water heater is a good idea, and we’ve provided a list of five of the best tankless water heaters for 2018. We’ll go over why they are the best as well as providing you with some of the better price options for these units. We base our ratings on several different factors to ensure that we are providing you with correct and useful information that has relevance in your particular situation. All of the products listed are also highly recommended by customers who have previously purchased these items and found that their performance was satisfactory. Quality: We assess the quality of the product, from what materials make up these units as well as how long the product is expected to last. Ease of Use: Can you efficiently operate the device to the settings you need? Do you require a large booklet to get the darn thing working? These are both questions we’ll have answered as we go over each of these products and will affect the rank score of each unit. Customer Satisfaction: Customer voices give insight into their own experiences with each product. While we strive only to supply the best-rated devices, customer opinions will affect the score of each product. Price: We know the forefront of many people’s minds is how expensive these items will cost. We’ll talk about the cost of the product itself and where you can get the best prices for each unit. Please keep in mind that the cost of installation won’t be considered in this article, as every company charges different rates. If you need a powerful unit that meets all of your hot water needs, then the Takagi T H3-DV-N is the tankless water heater for you. The Takagi has ratings for both commercial and residential usage. This means you’re able to use it at your home or even at a restaurant or a beauty parlor. Regardless where you choose to use it, your options won’t be limited. 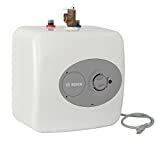 If you plan to purchase this unit for at home use, the manufacturer claims that you can run three to four showers at once and you won&#39;t run out of hot water. Most customers reported that despite how heavy duty this water heater is, you’ll still be able to save around 30 percent of your electricity bill. The way they the Takagi can save you so much money on electricity is the model's design to preserve water and energy at the same time. On top of that, this heater has computerized safety features that can deal with issues long before they become a problem for you. Everything about this model is robust, and it’s obvious a lot of consideration went into its design. The Tagaki water heater gives its owner high flow rate, up to ten gallons per minute of flow power which puts this model at one of the highest flow rates on the market. Thanks to the high tech condensing system built into this product, you won't have to worry about new installation since the unit runs off of natural gas. 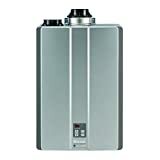 Tankless water heaters have had the advantage of older style water heaters due to their efficiency. Many customers also assume that tankless water heaters will run silently as well, but the sad truth is that you’ll find there are a lot of different models that will make noise while in operation and it can lead to frustration. Thankfully the Stiebel Eltron Tempra Plus is a silent runner, so quiet in fact that you may even forget that it’s there. What makes it so smooth? Not only is it silent in operation, but you’ll also never have to worry about the water temperature coming down once the output increases like with other tankless models. Maintaining the water temperature for this unit is all thanks to its Advanced Flow Control technology which is the backbone of the entire heater. No matter what, you’ll have a consistent water temperature. This unit also runs off of electricity so you can put it anywhere and its design is sleek so there’s no bulk to mess with and you’ll have all the space you need. 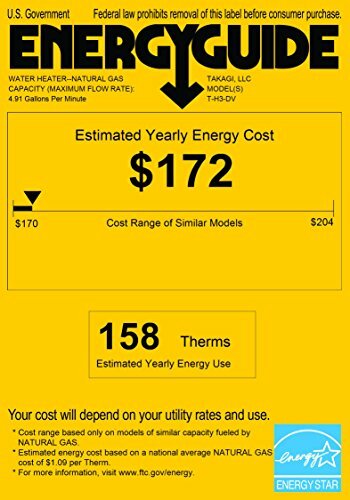 While tankless water heaters have a reputation to be energy efficient as they are, this model takes it to the next level by utilizing a self-modulating technology. This feature keeps energy intake consistent which means more savings. There seems to be only one known flaw when it comes to this unit is that while it comes with a three-year warranty, you must hire a professional to install it if you want the warranty to stay valid. For those who were already planning on hiring an expert for the task, then this isn&#39;t’ really a legitimate concern, but it can upset those who are more DIY friendly. 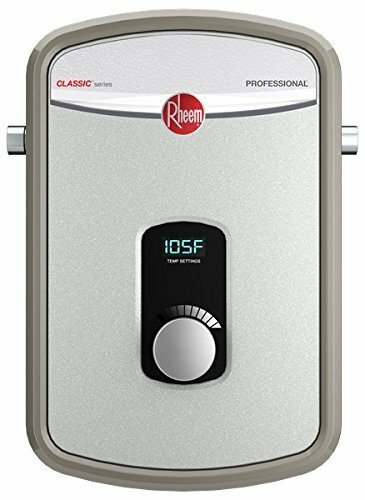 Rheem has had several models of electric tankless water heaters out and it’s most successful was the Rheem RTE, 13 model. The latest release in their lineup is the Rheem RTEX 13, a more updated and efficient model than the standard RTE. This little water heater has already won approval from the general public despite being a relatively new device thanks to its user-friendly performance. What is spectacular about this specific model is the flow rate that it can put out. Four GPM—or Gallons Per Minute—gives you the ability to run a hot shower while using a low-rated tap from the kitchen all at the same time without interrupting your hot bath. The unit itself is only measured out at 9 x 4 x 13” which doesn’t occupy much space and would be perfect for smaller homes or studio apartments. While the unit is supplied by electricity, which isn’t the most inexpensive fuel source, it was the most convenient way to make this unit function, and you don’t have to worry about gas pipes or ventilation which costs more to install. One of the best features of this unit is the maximum control given when the RTEX is operational. You’re allowed to set your temperature by merely twisting the single knob positioned on the front panel of the device. You’ll have an LED display that shows you at what temperature you’re sitting at ( In Fahrenheit) to guarantee the temperature you want. Unfortunately, there is one major flaw concerning the RTEX, and that is that if you have a larger household where two or more people want to take a shower at the same time, the unit won't be able to keep up and you’ll run out of hot water. Despite this flaw, it seems that most individuals who purchased this model of water heater were thrilled with their purchase. 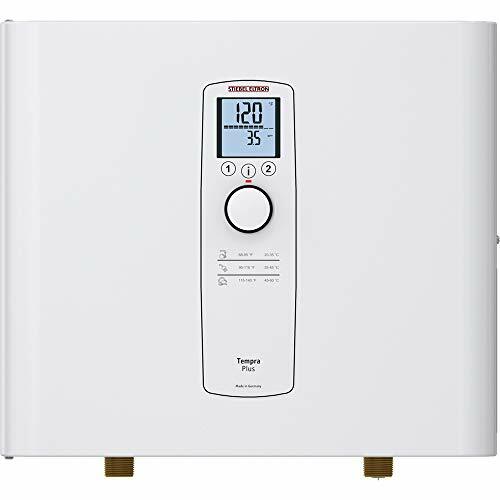 When you thought that the price of operating a tankless water heater couldn’t be any lower, the Rinnai RUC98iN ultra series takes on the challenge with ease. This Rinnai unit operates solely off of natural gas which has a much lower cost than the electric variety. This unit puts the savings right into your pocket every month. Despite the stigma about extra costs associated with installing proper ventilation for a natural gas water heater, this brand manages to break through that barrier by providing two venting options already pre-built into the system. You’ll have the choice of either concentric-PVC or twin piping to use depending on which one is easier to install. Unlike many models of tankless water heaters, the Rinnai is a workhorse in comparison. The Rinnai is capable of taking on a flow rate of 9.8 GPM which means larger households would benefit significantly from purchasing this model. 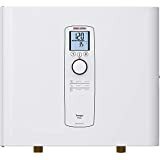 Many consumers may be concerned about the carbon emission output from these tankless water heaters, yet they can put their concerns to rest because the Rinnai tankless water heater has a 0.95 efficiency rating which is one of the highest efficiencies of its type. The only problems that consumers seemed to have with this model of water heater are the fact that for one, it was bulkier than most current models on the market and it was more challenging to install. That said, it’s size is still a significant difference compared to a traditional water heater so you’ll still be able to take advantage of the new space you’ll get. As for the difficulty in installation, you’ll likely have to hire someone to get the job done. While that can cost a bit up front, it will be an investment worth having. While this isn’t a tankless water heater meant for pushing showers and large quantities of hot water throughout the house, its ratings were high enough to find a place on this list. The Bosch Tronic 3000 T; primary function is for circumstances such as the installation of a wet bar, a small bathroom or half bathroom, or even an outdoor kitchen. Some customers even stated that they had purchased this exact unit to run hot water through their food trucks while they were serving food to customers. They were thrilled that this solid little model was able to do the job without any problems, and it’s all thanks to its ability to work at two and a half gallons per minute which gives its owner over six gallons of hot water every hour. It’s one of the smallest tankless water heaters available through just about any manufacturer on the market. It comes with mounting hardware so you can install it wherever is most convenient, whether that’s under your sink, on the floor, in a cabinet or even on a shelf, it will fit and secure itself wherever you put it. Another great feature that Bosch has implemented into this system is that you can achieve installation in two different ways. It could be connected directly into your electrical system, or it can plug directly into an outlet. The Bosch Tronic requires 120 volts of power to run, however, so make sure that your area can support its energy needs. The front panel has the temperature controls installed on it; a simple dial will be all you need to either set the temperature to a minimum or maximum level. This dial is also how you turn off the unit. Unfortunately, many customers weren’t pleased that there wasn’t a digital readout to know what the temperature of the water would be, however, the price makes it worth the simplistic design. If this little tankless water heater is everything you’ve been looking for, you can find it on Amazon. When it comes to deciding on your tankless water heater choice, check installation requirements and make sure that if you can’t install the unit yourself, then you’ll have the funds to hire a professional. While these are beautiful units to consider, you’ll also need to think about how much water usage you’ll need before ultimately choosing your brand.